With so many people suffering from or at risk for cancer, it.s little wonder that there is a high demand for natural supplements that can help protect against this dreadful disease. And while vigorous, ongoing research still seeks a cure, recent studies indicate there may be some light at the end of the tunnel. Graviola, a small evergreen tree indigenous to parts of Africa, South America, and Southeast Asia, has served specific medicinal purposes for years, and now research suggests its healing properties could possibly play a role in the prevention of cancer, although no definitive evidence has yet to substantiate this claim. Unlike more traditional methods such as chemotherapy, graviola has shown to target cancer cells without damaging the surrounding healthy tissue. 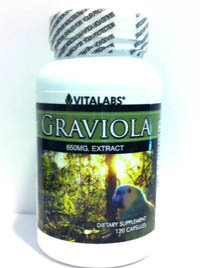 Available in supplement form, graviola is much less invasive than other forms of treatment. The fruit and leaves of the graviola tree have been used in traditional medicine among natives of the Amazon and Caribbean for centuries. The medicinal qualities of the graviola tree was traditionally used as a sedative, but recent studies have also shown that enzymes in the plant can actually attack cancer cells when introduced to them in a sterile setting. Scientists have isolated cancer cells and introduced the enzymes; the enzymes then destroyed the cancer cells while leaving the others intact. The far-reaching implications of this isolated attack of cancer cells are impressive. If a graviola supplement has that effect within the human body, it may be used to target and destroy cancer cells without the negative effects of more invasive cancer treatments. More research needs to be done on humans to prove its effectiveness, but current results seem very promising. 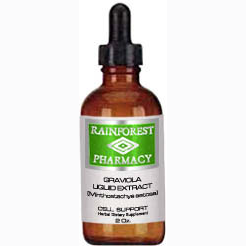 Because you can take graviola for cancer prevention, you can purchase graviola and begin a graviola supplement regime immediately. With your physician.s approval, you can add these supplements to your existing vitamin supplement regime. Long-term benefits of the supplements have not been studied in humans, but there seem to be no ill effects associated with graviola treatments when taken in supplement form. You can take graviola for cancer at any stage of the disease, including as a purely preventative measure; there is no guarantee that it will be completely effective, but it may prove helpful. You can purchase graviola in its whole fruit form, but it.s pricey and difficult to obtain in many areas. The fruit, which grows naturally in the rainforest, is very delicate and does not travel well. This is why a graviola supplement is a better solution for most people. Supplements extract the beneficial qualities of the fruit from the graviola tree and condense them into a convenient and economical package. It will be exciting to see graviola.s potential impact on cancer treatment, but for now, if you.re looking for a way to simply boost your immunity or lower your blood pressure, you can benefit from the research that.s already been done on graviola. 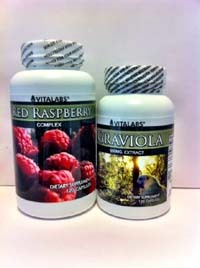 For more information on graviola or to purchase it in supplement form, visit A1 Discount Vitamins by clicking here or call 877-291-8263.